For fans of Americana music, 2016 has provided a bounty of new albums nearly unheard of in recent years. Dozens of great releases flooded the record stores and every month it seemed like another standout album or two was hitting the market. It made choosing the ten outstanding releases of the year difficult, and left some standout releases by acts like Parker Millsap, The Honeycutters, and Tommy Womack sitting just outside the Top Ten. The ten albums that make up our Best Of Americana list for 2016 is a mix of established veterans proving why they are at the top of the game, young artists on the rise, and some debut albums from the future of Americana. The duo made up of Lucy Tight and Wayne Waxing, known collectively as Hymn For Her, certainly delivered the most unique album on this year's list. The self-professed nomads who travel the country in a silver Airstream with their daughter penned a set of love letters to the road, the beauty of nature, and the importance of keeping loved ones close in your heart even if you're miles away. All of it was backed by Tight's strong cigar box guitar skills and Waxing's persistent backbeat on kickdrum and banjo. If the millennial generation and their diverse musical influences had standard bearers in Americana, they would be SHEL. The four sisters have made a career of taking traditional folk instruments and crafting ethereal dream pop soundscapes that are just country enough to fit Americana's big tent but still sound like nothing else being done in the genre. They upped the ante when The Eurythmics' Dave Stewart produced Just Crazy Enough, adding yet another layer to their already dense production. In 2016 it's easy to say there's nothing new under the musical sun, but SHEL continues to prove that adage wrong. 2016's “overnight sensation” breakout artist came in the form of Margo Price. Of course, Nashville already knew that as Price has been gigging around town for over a decade, being rejected by label after label until Third Man Records took a chance and released Midwest Farmer's Daughter. Possessed of a voice pure enough to make any Loretta Lynn fan smile but a bag of hard drinking, jailbound, lovelorn lyrics that would delight any outlaw, Margo Price has finally made her mark, and she doesn't look to be going anywhere. Americana music might have “America” in its title, but some of its best albums are coming from overseas. Case in point is My Bubba. The Scandinavian duo's quietly intertwined vocal harmonies flow from their release Big Bad Good like being delivered by one voice. But underlying their delicate and subtle vocals is a sometimes bitingly wry sense of humor that sneaks up out of nowhere to poke you gently, demanding a closer listen. After taking the festival scene by storm with their folk-punk stories, Shovels & Rope turned their lyrical focus inward on Little Seeds, taking inspiration from both life and death, with songs influenced by the birth of their first daughter and the church shooting in their hometown of Charleston. It's a surprisingly open turn from a band best known for weaving musical short stories, and conversely Shovels & Rope's most satisfying effort yet. The Americana supergroup made up of Will Kimbrough, Sugarcane Jane, Grayson Capps, and Corky Hughes tends to fly under the radar a bit in the critical scene. They don't release flashy or expensive videos or make media blitzes to keep them in the public eye. But they quietly releases one of the most technically flawless albums of 2016 with Paradise Right Here. Anchored by Kimbrough's always outstanding instrumental work, Willie Sugarcapps ranges wide, from the old school Americana groove of “The Highway Breaks My Heart” to the Robert Hunter-esque swamp crawl of “Mancil Travis” and the Carter Family gospel of “Find the Good.” This is, simply, some of the best artists in Americana performing for the love of singing together. It's sometimes easy to forget that Sarah Jarosz is just 25 years old. Having released her debut album at 17, Jarosz is already a polished veteran of the Americana scene, but that doesn't mean she doesn't have room to mature. Undercurrent is the next step in that maturation process. Finding that less is more, Jarosz stripped the production back on Undercurrent, abandoning the lush instrumentation of her previous two albums for a economical approach that allows her hauntingly beautiful voice and equally haunting lyrics shine through. After his 2014 release Metamodern Sounds in Country Music put him alongside Jason Isbell as the media's anointed saviors of traditional music, there was concern that Sturgill Simpson might slip in trying to follow up that album. There was no need to worry. A Sailor's Guide to Earth is a much more personal journey than his previous effort, alternately a father's take on life for his newborn son and a concern for what kind of world his generation is leaving behind. From the powerful “Call to Arms” to the surprising Dap-Kings infused soul reimagining of Nirvana's “In Bloom”, there is enough to unpack on A Sailor's Guide to Earth to keep fans happy until Simpson's next release. It wasn't the album of original songs that many fans of John Prine, arguably Americana's best songwriter of all time, wanted, but For Better, Or Worse is a fun album that can't be discounted even if it is all covers. The spiritual sequel to 1999's In Spite of Ourselves, the album sees Prine pulling duet duty with a mix of established Americana and country legends like Alison Krauss and Lee Ann Womack as well as some youngsters like Kacey Musgraves and Morgane Stapleton. But the true genius of For Better, Or Worse is Prine's subtle re-arrangement of the country classics to virtually eliminate the underlying chauvinism of many of the originals. 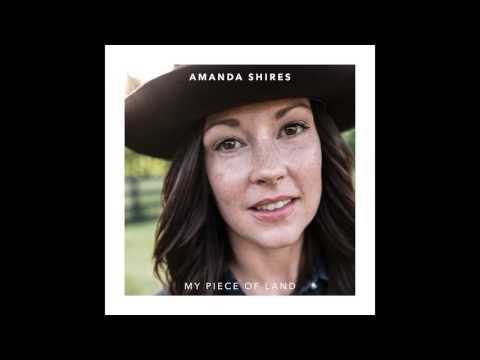 From Amanda Shires' empowered asides on “Dim Lights, Thick Smoke, and Loud Loud Music” to Kacey Musgraves' no nonsense delivery on “Mental Cruelty”, it's a surprising place to find girl power on display, and Prine happily steps aside and lets the ladies shine throughout. 2016 was the year of deeply personal albums and no one did it better than Amanda Shires. Written and recorded while off the road in the last stages of pregnancy, My Piece of Land takes on familiar tropes like life changes, the impending birth of her child, love, and lost love with a lyrical precision that is laser-focused. Currently pursuing an MFA in Fine Arts from the prestigious University of The South, Shires puts her education to good use, making My Piece of Land sound more like musical poetry than a collection of songs. From the sing-song chorus of “Nursery Rhyme”, detailing the anxiety of her final days before giving birth, to the startlingly unvarnished declaration of love that is the title track, My Piece of Land, like a good book of poems, reveals something new with each listen. The album also benefits greatly from the production skills of Dave Cobb, whose close work with Shires on husband Jason Isbell's two albums gave him the inside track to knowing when to produce and when to get out of the way and let Shires be Shires. Want more of the best of 2016? AXS has you covered right here.